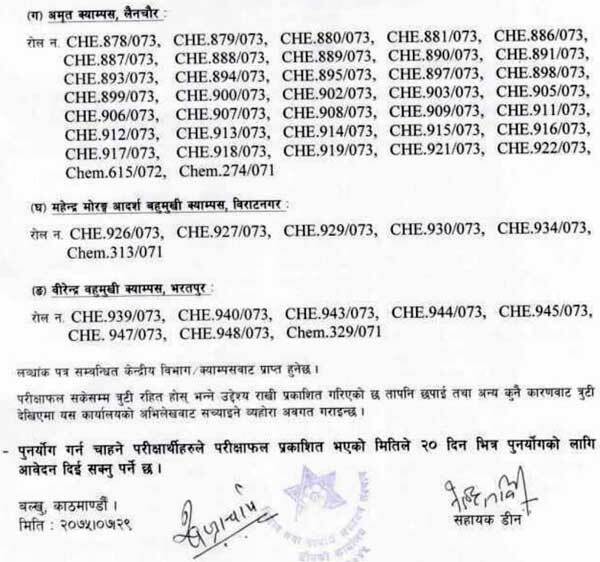 Tribhuvan University, Insitute of Science and Technology (IOST), Exam Department, Balkhu has published the exam results of MSc Chemistry First Year Second Semester. 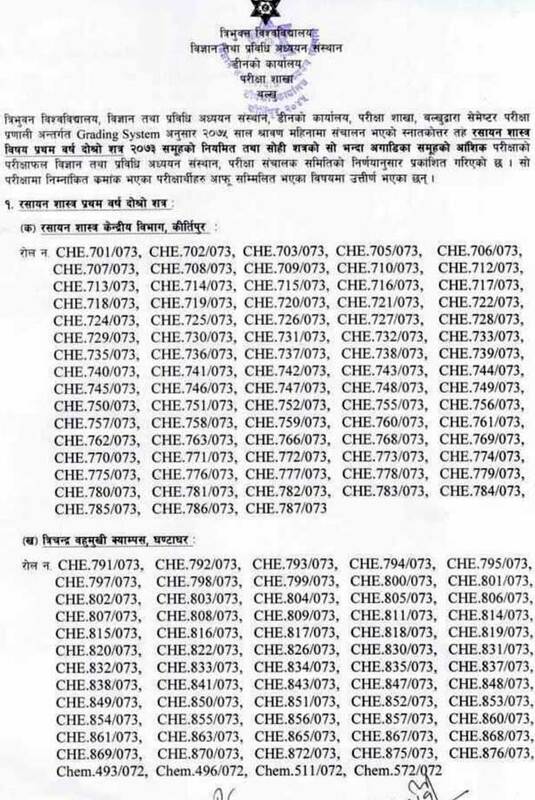 The exam was conducted in Shrawan 2075. 2000+ Job Openings (Officer Level) from Lok Sewa Aayog !